House of Meiling: Big keeper! Started my short sturgeon season yesterday. We had 3 oversize on with in the first hour. We don't play with these, once we know it is an oversize, we break em off. Uh uh, we aint there to play them. 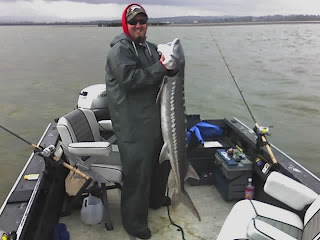 We did however catch this 59 inch keeper. The largest keeper you can keep. Very nice!